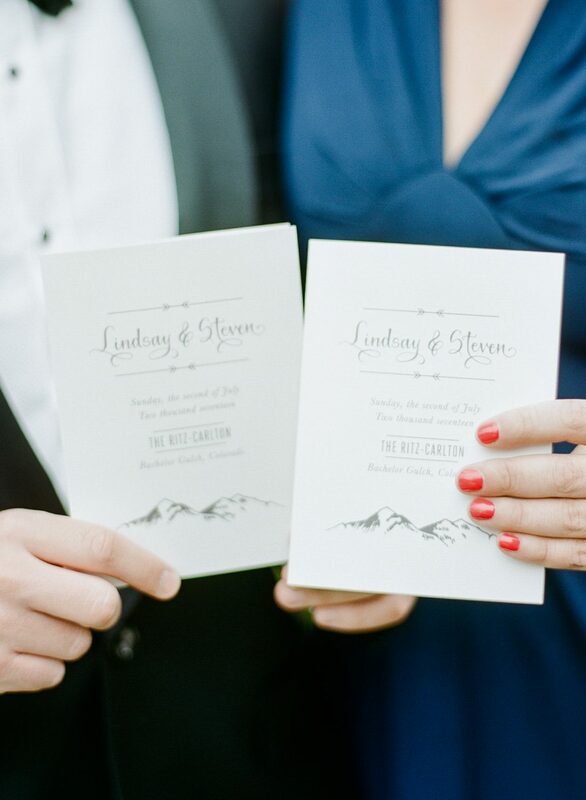 This real wedding was a 5-day event, combining the casual with the formal. 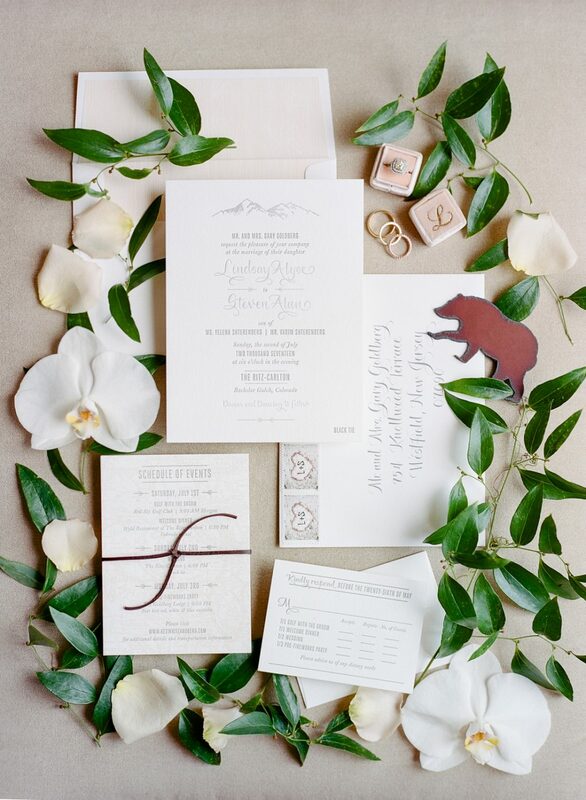 The bride’s mother worked with the team at Bella Figura NYC to customize our popular Sierra design to create a rustic yet elegant invitation suite perfect for their black tie affair in the mountains of Colorado. 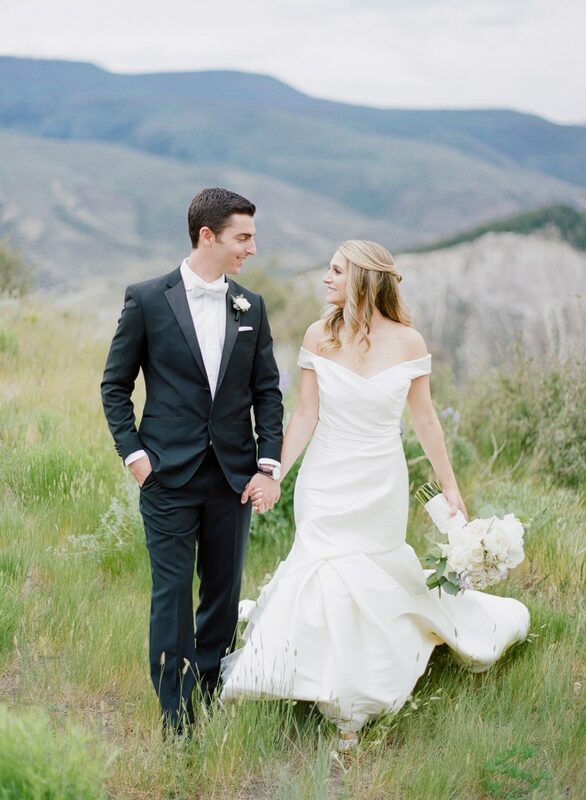 It was a week filled with everything from a bridesmaids’ hike, to a 4th of July BBQ complete with fireworks, and a stylish celebration at the Ritz Carlton Bachelor Gulch. Be sure to check out Style Me Pretty to see more photos from this beautiful wedding. 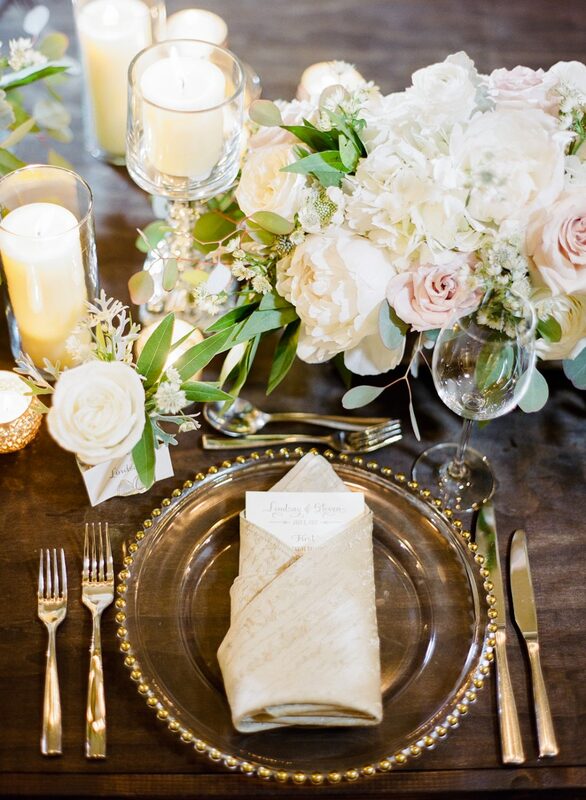 Putting that card in the Napkin on the dinner table is a great idea!